Jun. 2, 2017 11:00 a.m. Since 1982, the Red Deer River Valley has been home to one of the province’s finest BMX racing track at the Piper Creek Optimist BMX Track. Last week, riders from all over the City came together to celebrate World BMX Day. While freestyle BMX became popular in the late 90s when the X-Games began, BMX racing has been around for much longer, according to Hall. “X-Games is the more freestyle part of it – which is the extreme part of it,” he explained. “Racing started in the mid 70s in California. We started Red Deer BMX in 1982 and it has been in the same location since ‘82. It has evolved from just local racing to now being provincial, World Championship and even an Olympic sport. 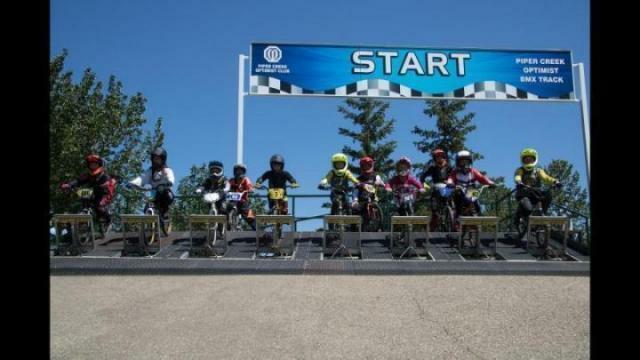 Racing continues to be popular in the Central Alberta region, and Hall said that World BMX is an opportunity to have even more people – young and old – pick up a bike. Hall and the entire staff at Piper Creek Optimist BMX Track remain fully committed to attending events in Alberta and throughout the world. Hall believes the success of Red Deer’s park is due to the quality of the course.